Founded in 1992 by Ed Lewis, the band attracts players from as far away as New Smyrna, Flagler, Palm Coast and Plant City (!). During its fledgling years, DBCB held its rehearsal sessions in the basements of supportive music-loving churches, until a permanent home could be established. 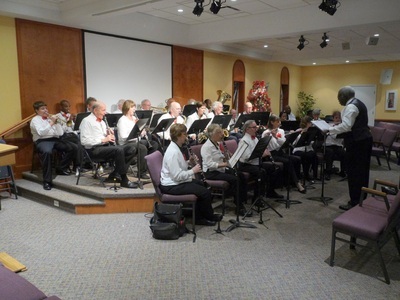 Rehearsals now take place on Tuesday evenings from 7 – 9 p.m. 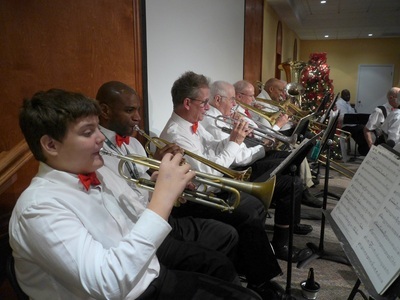 Most of the folks who play with the band are retirees, some are snow birds, but all have a deep and abiding love of playing good music, well. 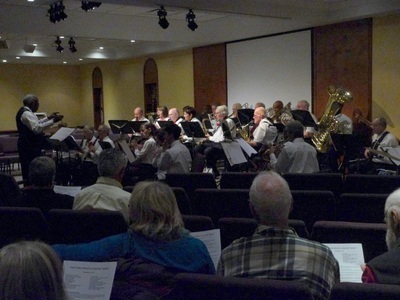 Several have professional credits to their name, others are retired music teachers, some have studied music at the college level, many are amateur players, others have had a hiatus from playing for as long as 20-30 years, but for reasons only they know in their hearts, have returned to the rigors of rehearsal and performance. 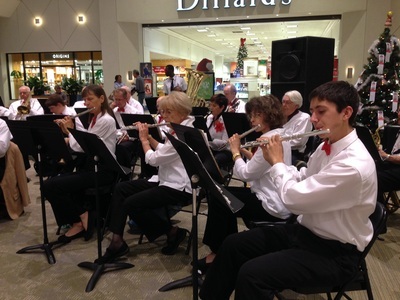 It is a cohesive, fun group with which to play, and the ensemble improves itself on a regular and on-going basis. You can't be too young - we have several young musicians from Mainland High School who started with DBCB when they were at Campbell Middle School And you are never too old to join - our Tenor saxaphone player is 92! The Daytona Beach Concert Band (DBCB, as it is known amongst its members) is in its 22nd year of activity around the greater Daytona area. 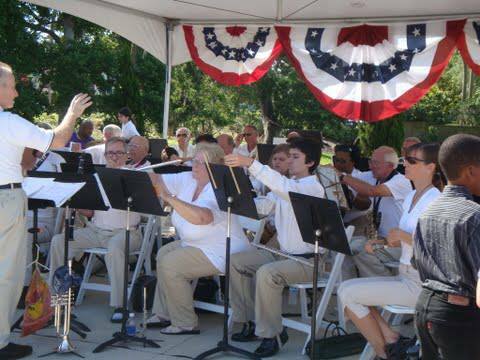 Concerts have included an American Legion fund raiser at the Ormond Beach Performing Arts Center, Christmas concerts at Unity Church and the Riviera (both in Holly Hill), and a performance for the annual commemoration of the “Battle of Dunlawton”, held in Port Orange. Past appearances have seen the band performing at such auspicious community events as the Yancey Music Festival, picnic concerts at Riverfront Park, Flagler County Council for the Arts, Garden and Leisure Lifestyles Indoor Garden show, Bennett VA Home, and Our Lady of Hope/K. of C. Past performances have also included the Peabody Auditorium, the News Journal Center, and a variety of open air concerts for all sorts of venues. As a non-profit organization – 501(c)3 – the band is self-supporting, but does gratefully accept and acknowledge its financial supporters. 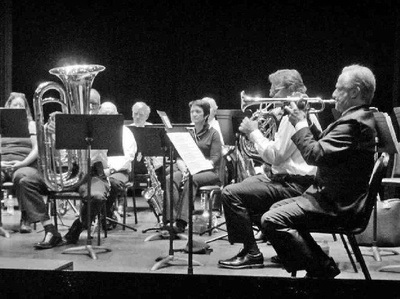 The cost of maintaining our rehearsal facility, copy machine, vast music library (donated back during the demise of the original Daytona Municipal Band), and inventory of instruments all add up, especially in today’s economy. So, any kind of help toward the support and continuation of live band music is greatly appreciated!